A modern version of the old song “His Eye Is On The Sparrow” came up on my Spotify playlist the other day. I think it encapsulates something God has been trying to teach me these past few years: in the face of what sometimes seem, to my feeble little heart and mind, to be huge obstacles and uncertainties, Jesus says: “Don’t be afraid. My eye is on the sparrow; I’m still watching over you. Follow me.” This is real comfort; the source of true confidence, strength and peace. Coco and I are constantly in need of all three, and God gives us everything we need at just the right time. He gives us His love, forgiveness and grace each day. So, we give thanks! Thanks to Him and thanks to you, for being with us in prayer. 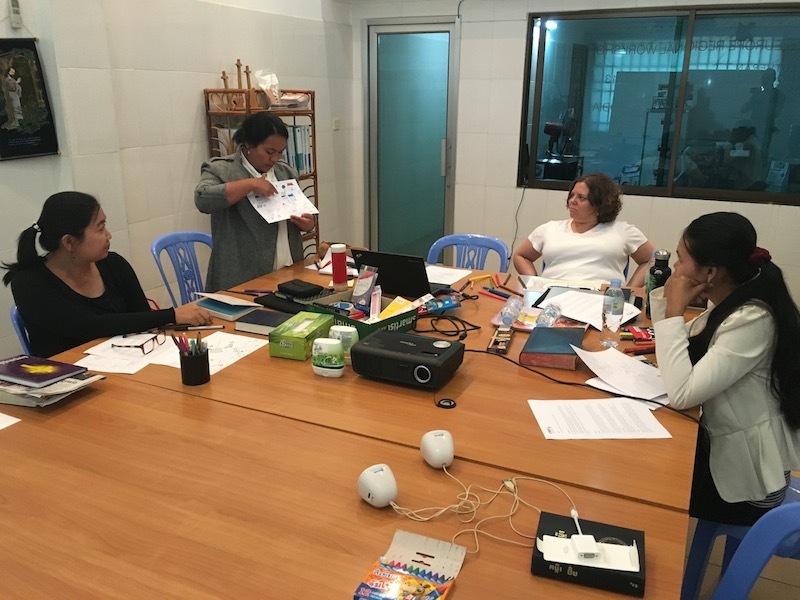 Since you last heard from us, I (Josh) have spent time participating in a number of planning meetings and retreats with different colleagues across Asia. 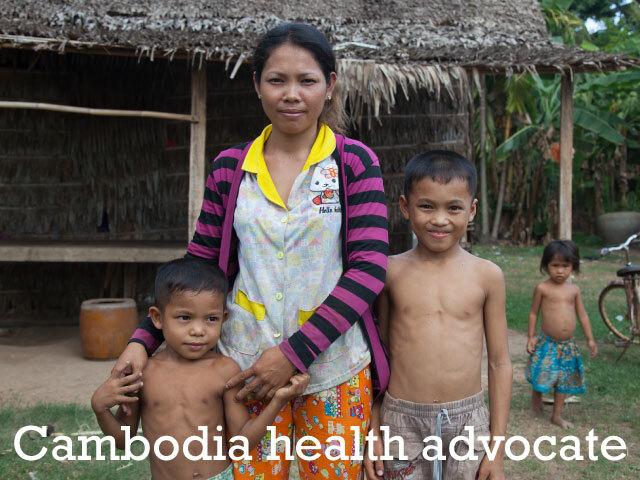 First, in late January we gathered with our teams in China and Cambodia, first in Kunming and then in Phnom Penh. These were blessed times of fellowship, daily worship together and productive conversations about the direction of CWEF for the year ahead. These healthy discussions were meant to be an intentional starting point for a longer process of strategic planning for the next 3-5 years of CWEF’s work. God has blessed us with some wonderful people to help us as we go through this process, and we ask for your continued prayers that God would be working out his purposes in and through us now and in the years ahead. 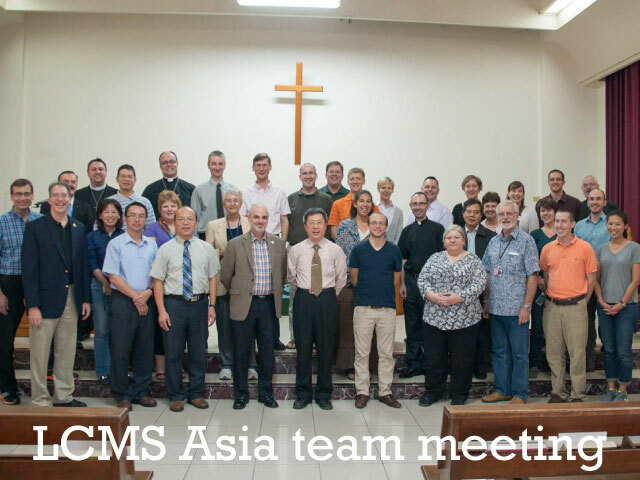 This week, I’m writing to you from Manila in the Philippines, where our broader LCMS Asia team has gathered for our annual regional workgroup retreat. This has been a fun and energizing time to reconnect with many coworkers across the region who have become like family to me over the past 8 years, and it has been a great opportunity to get connected to a number of new families who have recently arrived and begun working in different parts of Asia over the past year. God has given each of us a unique call to serve, but he has also called us together. We support and encourage each other, we challenge each other, and we work to find new and creative ways to collaborate with each other toward the development of his kingdom. For Coco’s grandmother (her father’s mother), and the whole family. She is being treated for pancreatic cancer and has become increasingly weak over the past few months. God recently gave us the opportunity to visit her in the hospital, pray for her, share his Word and good news, and leave a bible with her. We expect to go visit her again in a month or so. Please pray with us that God would bring physical and spiritual healing to her life, and that together with all of Coco’s family members, she would be given the gift of faith. April 8, 2016 by Joshua Lange. Merry Christmas to you and yours from chilly Northern California! Coco, John and I are here this week celebrating Christmas with my sister Christa and her family. Since we’re in the U.S., I’ll be able to share a little more openly with you in this letter. Earlier this month, I was blessed to join yet another CWEF service trip. This one was different and special for me. 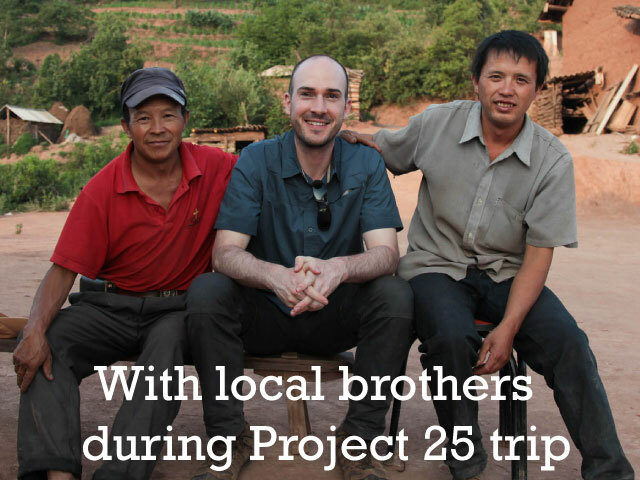 Most of the service trips I have been a part of in the past few years have been located in Yunnan province, and I have been at least partially responsible for preparing for and leading the groups. This time, we were in a different part of the country – Guangdong province – and I was in the role of participant and observer rather than trip leader. Eleven of us were there to take part in the December GROW trip (you might remember me giving an introduction to the GROW program in a previous newsletter). With guidance and support from one of our full-time people, the GROW program is mainly organized and led by our university interns, who are all previous recipients of CWEF high school scholarships and the REACH student development program. This year, they have recruited and organized their classmates and fellow CWEF recipients into a large and active volunteer group. Each month, a small group of these volunteers heads out to a small rural village to teach, encourage and show love to the ‘left-behind’ kids at the local primary school there (for more background about China’s left-behind children, read this Economist article). Of course, this month’s trip was just before Christmas and gave our team an opening to share about the Christ-Child who came to be God-With-Us. For the kids, we put on a fun nativity drama and taught songs such as Silent Night. With our team of volunteers, we held devotions each evening. On the last night, my colleague Roger, who played the role of the sheep in the nativity drama, shared with us that when celebrating Christmas, we should always look ahead to what Jesus did for us at Easter, and we read a series of bible verses to tell that story, concluding with the verse from Revelation above. Roger is one of two new CWEF colleagues who joined this month’s GROW trip. 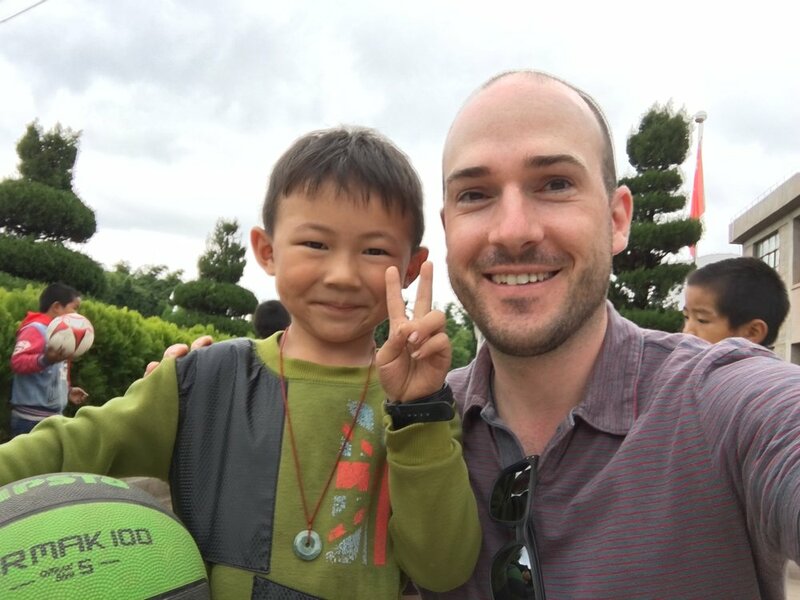 He is a good friend and former Concordia International School Shanghai (CISS) teacher who is taking a year off from the classroom to volunteer, and he’s graciously agreed to temporarily fill the role of Service Learning Director, which is a huge help for our team. In addition to Roger, God has answered our prayers and provided exceptional new coworkers to fill both positions I referenced in our last newsletter. So we now have two new people in our Kunming office: Asia Xu and Zhao Bing! Please keep all three of these folks in your prayers as they continue to transition into the organization, and for faith and grace to grow closer to Jesus each day. 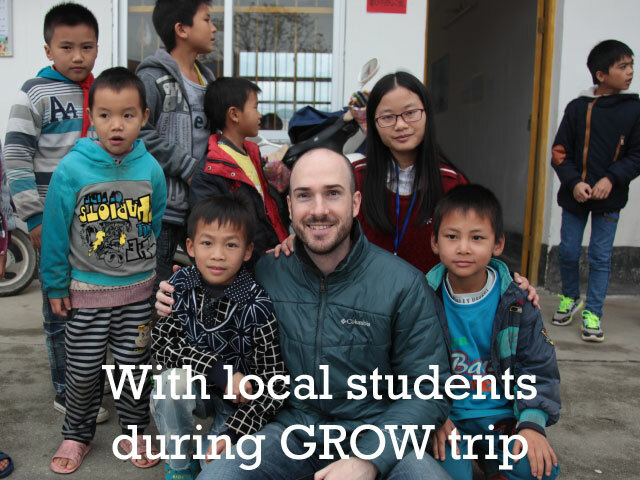 Since I last shared news with you, I also helped lead three additional service learning trips prior to the most recent GROW trip. All three of these trips were connected with CWEF’s education and health projects in Yunnan province, and two of the trips were done with Lutheran educational partners: our long-term partnership with CISS’s high school teachers and students, and a newer collaboration between CWEF’s HEAL program and the international development master’s degree program at Concordia University Irvine (CUI). In closing, I’m very pleased to report that as of the recent board meeting, Persephone James has now been officially named the permanent executive director! This is great news. It has been my joy to begin working with Persephone again this year, and I look forward to seeing how God will work through her and her continued service. December 24, 2015 by Joshua Lange. Sorry it’s been such a long time since you’ve heard from us! At the moment, we are feeling thankful for God’s constancy and faithfulness, especially during this year that has been marked by a lot of change for us in our work and family life. The most important and joyful change is our rapidly growing little boy, John. He is a treasure, and we're enjoying life with him so far. We welcome your prayers for strength and wisdom, and for the ability to be loving partners and parents. Iantha Scheiwe, executive director of CWEF and my long-time supervisor, who stepped down in mid-April in order to spend more time with her family in Hong Kong. Ashley Wong, our service teams coordinator, finished up her time with us and has returned to San Francisco to serve in her home church there. 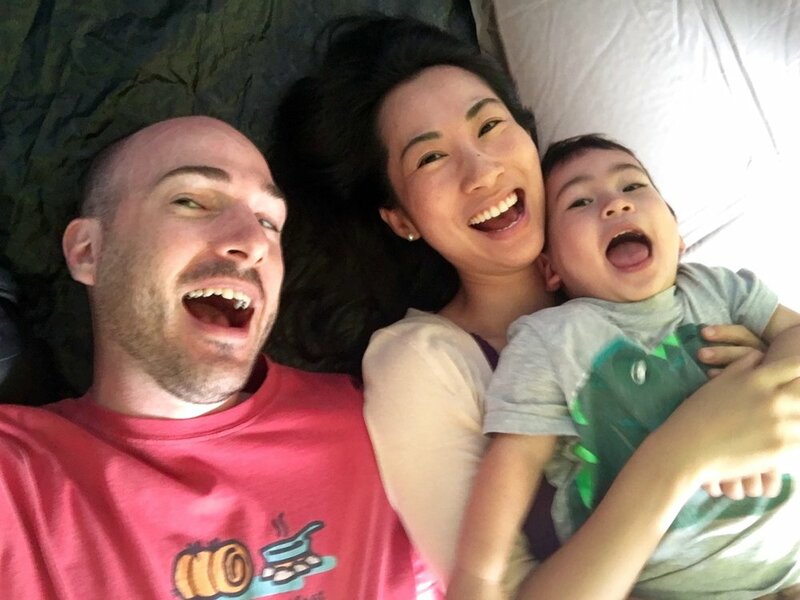 James and Brittany Baumgartner, and daughter Nora, are in the process of relocating from Shanghai to Latin America due to air pollution-related health issues for Nora. I’m very thankful to have had the opportunity to work with and learn from these wonderful and capable people, and I welcome you to join us in asking our Father to guide and bless them richly in the next season of their lives. I’m also very thankful that He has provided another wonderful co-worker in Persephone James, who has assumed the role of interim executive director for CWEF. Please ask Him to give her strength and wisdom as she settles into her work of guiding CWEF into its next stage. Ask that she and I would keep our hearts and minds wide open to His leading, and that in faith we would listen, hear and obey. At the moment, we would specifically like to ask for your prayers for recruitment. We are currently interviewing candidates for a couple positions: Serving Learning Coordinator and China Programs Director. We are trusting Him to provide the right people at just the right time. From December 13th-16th, 2014, 6 university volunteers, who were previously CWEF high school recipients, held a service activity in Sibao Primary school. They completed home visits for 33 left-behind kids, they provided 1 day of English, PE & Music lessons to local students. They also held a Christmas party for local students and teachers. As for me, I only needed to be a photographer & instructor — not an organizer this time, which has never happened before. It’s exciting for us to see this fruit being born out of our team’s service to these young women over the years. Praise Him for this encouraging development, and ask that He would use this new program for His glory and the development of His kingdom. For continued healing and recovery for Josh’s mom Sylvia, who underwent emergency colectomy surgery in May while visiting us here in Shanghai. For Josh’s sister-in-law Sandra, who has recently begun chemotherapy treatment for breast cancer. June 19, 2015 by Joshua Lange. It is an exciting time in our household. As we await Christmas and remember how Jesus came into the world, Coco and I are also gearing up for the birth of our first-born son. Preparing to welcome a child into the world brings a whole new sense of wonder to the Advent season. After experiencing our own anticipation and joy, I can only imagine Mary’s state of mind in the weeks leading up to Jesus’s birth. Our feelings must have been multiplied many times over in Mary as she processed the magnitude of this God-Child kicking and poking her ribs. Mary knew what this baby meant: God is with us! We are so thankful for this reality as we ready ourselves for the responsibility of raising a child, and as we continue to go out each day to the work He has called us to here. In early November, I was grateful to have the opportunity to join my LCMS colleagues from the Asia region in Taiwan for a regional meeting, and then in Hong Kong for a leadership training workshop. God has blessed us with wonderful coworkers. "I want to write you to express my thanks for giving me the opportunity to be so fortunate. Through all the teachers and students I have faced over this last year, your kindness has been an anchor to me, keeping me strong, and indeed, a major form of stability in my life. It makes me happy to know there is such love both within and outside the family circle. I am extremely aware now that friends look after our needs so well and that perhaps there is a Being who knows that a supportive friend is needed to help through their troubled times. 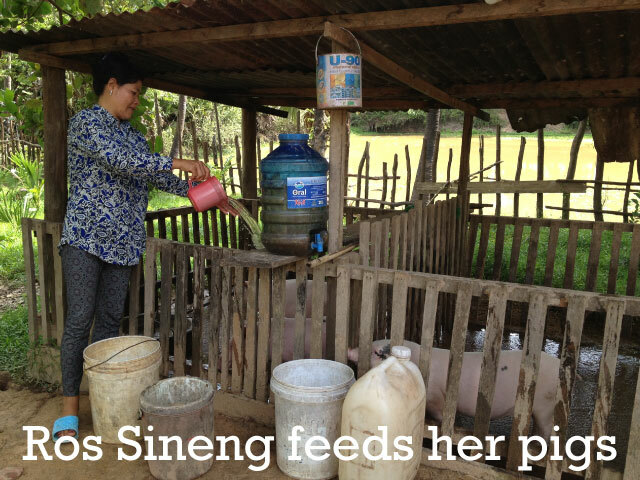 Pray that Li and many others like her may receive the greatest blessing anyone has ever known – to know the True Light, who gives light to everyone and who has come into our world to be God with us. December 23, 2014 by Joshua Lange.